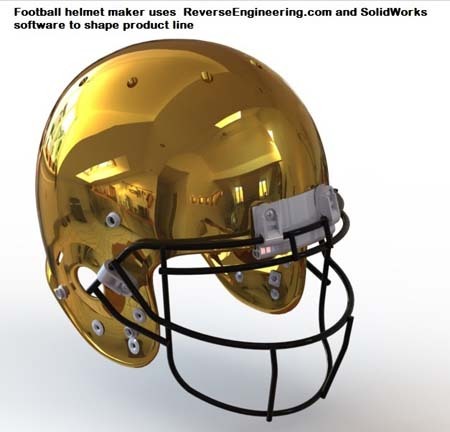 LA JOLLA, Calif.–ReverseEngineering.com 2018 for SolidWorks is a reverse engineering application, fully integrated into SolidWorks. Users can easily process point clouds, hard probe, and 3D laser scan directly in SolidWorks. Tube measure and quick settings tooling dialog are two features new to the software. "Engineers and product designers often struggle with the management of large 3D point clouds from 3D scanners," said Braxton Carter, CEO, ReverseEngineering.com, HighRES, Inc., in a press release. "ReverseEngineering.com addresses those problems and provides specific tools to simplify workflow in real time." The new Tube Measure feature enables users to quickly create a pipe or tube by sweeping a circle along an automatically generated path. Manifolds can be measured and the bends added in afterwards. Tube Measure reduces time to model complex tubes and makes it more accurate than previous modeling methods, according to HighRES, Inc. In addition, hard probe tooling alignment is now possible because quick tool alignments have been consolidated with probe compensation. Users can now hard probe direct to a drawing for inspection or dimensioning in real time, the company said in the release. ReverseEngineering.com (www.reverseengineering.com) supports multiple portable CMMs, including Faro arms, MicroScribe, Romer arms, Kreon arms, BIG 3D Creator Optical Tracker, Faro Focus, and stand-alone point clouds. With ReverseEngineering.com for SolidWorks, users can receive support from an experienced team who have been supporting complex reverse engineering applications for over 21 years, the company said. New capabilities and enhancements include faster processing gigabytes of point cloud scan data with Voxel thinning. Automatic function generates profile curves through a point cloud, allowing users to define and order equal number and spacing of points for parametric spline creation. An enhanced lock plane is said to simplify work flow: Users can define point-to-plane snap tolerance capture with a hard probe or 3D scanner. The program, ReverseEngineering.com for SolidWorks, includes a standalone Integrated Point Cloud module that doesn't require a SolidWorks license to visualize points, hard probe, or laser scan. Developed by HighRES, Inc., ReverseEngineering.com is Windows®-based reverse engineering CAD/CAM software for multi-CAD add-ins. HighRES, Inc is a privately owned provider of 3D scanning and imaging services. The company, founded in 1996, provides reverse engineering software for a variety of markets, including military, education, mold making, prototyping, automotive, medical, aerospace, consumer products, and centrifugal pump parts.